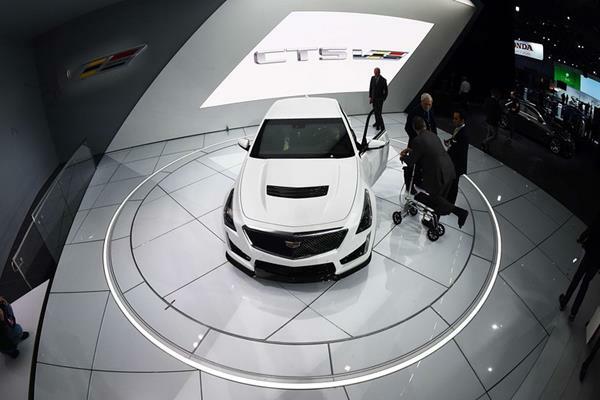 General Motors Co. is weighing the potential impact on its investment grade credit rating of a large stock repurchase proposed by activist investor Harry Wilson and four hedge funds. Mr. Wilson wants the nation’s largest auto maker to complete an $8 billion share buyback by mid-2016, arguing GM needs to better manage its $25 billion in cash. GM executives recently disclosed a quarterly dividend increase, but privately worry that size of an additional buyback would dent its balance sheet and jeopardize its credit ratings. Two ratings firms this week indicated the proposed buyback could hurt GM’s current credit rating, which is one notch above junk grade. The two left open the possibility of downgrades or refusing to upgrade its rating depending on the outcome of discussions with Mr. Wilson. Standard & Poor’s called Mr. Wilson’s activism “detrimental to credit quality,” adding that an $8 billion share repurchase could prompt it to reconsider its GM assessment. A ratings freeze or drop would hamper access to low-cost capital for GM’s lending arm, called GM Financial, a chief concern for the company’s executives. Executives hope to boost GM Financial’s earning power significantly by 2016, in the hopes of having another steady profit source if U.S. auto sales begin falling later in the decade. Directors must “find the right balance” between returning cash to shareholders and what is needed “to sustain long-term growth,” said a person familiar with GM. Mr. Wilson believes GM, if it sticks to forecasts for cash generation, eventually will have cash within its target of between $20 billion and $25 billion, even with an $8 billion buyback in the interim, according to people close to Mr. Wilson. GM Financial was formed through a $3.5 billion acquisition of subprime auto lender AmeriCredit Corp. While GM has no immediate plans to take cash from the auto business to prop up the growing lender, the credit ratings of the auto business and lending arm are tethered. Mr. Wilson was a central figure in GM’s government-led bankruptcy restructuring in 2009, working on behalf of the Obama administration. He holds GM shares and represents four hedge funds that collectively hold more than 34 million GM shares. The Detroit auto maker’s focus on GM Financial has sharpened since Chief Executive Mary Barra took over a year ago. Once a business mainly aimed at subprime buyers, GM Financial is taking steps to take share from Ally Financial and other lenders offering loans and leases to car buyers. GM sold control of Ally in 2006. The former GMAC had significant subprime mortgage holdings, collapsed during the 2008-2009 financial crisis and re-emerged with a focus on auto finance. S&P last September returned GM and GM Financial to its BBB- investment grade rating; Moody’s gave the company a Baa 3 investment-grade rating in 2013. Both are one notch above junk grade. Fitch Ratings still rates GM below investment grade. Unlike banks, captive auto leasing units don’t have the funding support of consumer deposits, so they are more reliant on the capital markets for their lending activities. GM has $25 billion in cash but has resisted past calls to return money to shareholders, arguing it needs to sizable cash piles to weather any unexpected downturns. 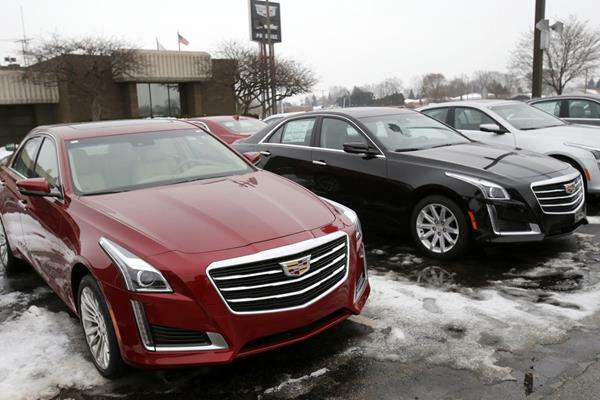 GM is investing to build up its model lineup, increase the fuel efficiency of its cars and remake its luxury Cadillac division.